We’d like to share with you why Axelerant turned to Key Performance Indicators or KPI’s, metrics for measuring well how we’re performing as individuals (and the company collectively). The truth is, without these KPI’s in place, we missed every time. If you can’t measure it, you can’t manage it. How were we supposed to hit benchmarks that weren’t there? Why did we want KPI’s in the first place? Well-designed KPI’s help ensure alignment and productivity; that’s a given. There are a set of indicators which measure data against, a sort of enterprise success gauge. Ultimately, they help an organization assess progress toward declared goals. Effective KPI’s are closely tied to strategic objectives (be it for the entire company or an individual). 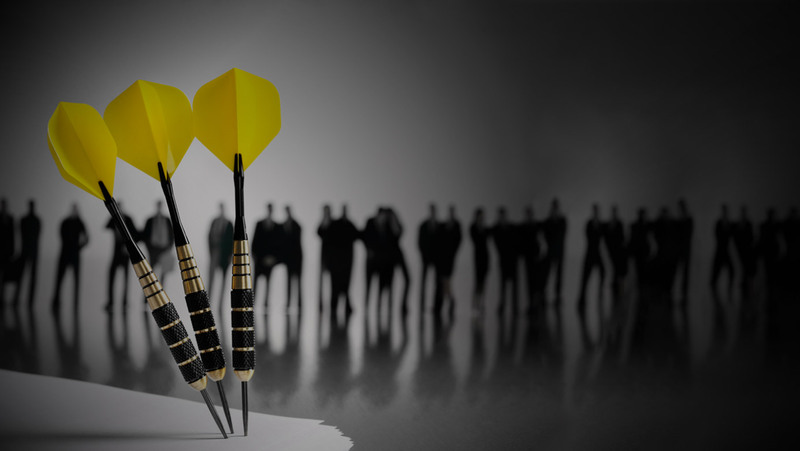 Having right KPI’s for the individual and the company encourages us to deliver on point. 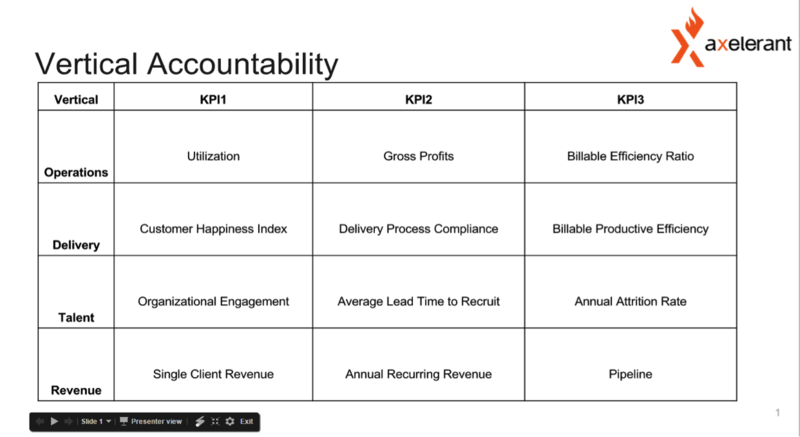 Each one of our teams has set of KPI’s corresponding to their verticals—services and revenue—all aligned to company’s strategic objectives. KPI’s keep us on the same page. But these require time, effort and everyone’s buy-in. When we kicked this off, these metrics were shared across the organization in the webinar so everyone could bring forward questions before we started implementing them. Establishing metrics for everyone wasn’t easy. Measuring performances, success, failures—these are huge tasks considering we didn't have any performance assessment frameworks that could have been used across Axelerant. Our need was to define assessment metrics, quantify performance and set these targets alignment with strategic objectives. Also choosing KPIs helped us to align ourselves to set short-term targets and long-term, giving us a baseline performance to build on. Customer & Team Happiness: We want to make sure that our customers are extremely happy with us and at the same time our team is equally happy making all the efforts. Efficiency & Effectiveness: It goes to all the tools, processes, and techniques. We want to make sure that we are highly effective at the same time efficient throughout. Team Member Alignment & Accountability: We have to make sure that every team member is a key stakeholder and a part of achieving strategic objectives that have been laid out. Also, there’s a strong need of being accountable at the same time. Revenue Growth, Predictability, & Cash Flow: More predictability to the revenue and at the same time growing it. Having a positive cash flow is also equally important to that we can take care of our expenses and not burden ourselves. Getting the whole team onboard. Let’s take an example of Organizational Engagement, a KPI for our Talent vertical. All of us would agree that great engagement would lead to happiness and contentment in the employees. It is very important to drive engagement across the organization so that we have team members who equally value Axelerant like Axelerant values all of us. And as a vertical, we want to ensure that we provide these opportunities for people to engage and also to measure the level of engagement so that we can design appropriate and right programs to work towards them. In addition to this, Agile demands self-organization and each person is an active contributor in shaping the ecosystem which will again come with engagement. We have individual and group-based weights. We feel that it is very important to give group more weight (60%) because of how important collaboration and communication is. For the individual, we’re an Open Source agency, and we strive to contribute back to the Open Source ecosystem and to the community. It not just adds value to the market but also gives visibility to Axelerant and the team members. Once we know the reason why a certain KPI has not been achieved and why isn’t it achieved, we can design measures or programs to cover the gaps. Not having KPI’s impacted us big time. Every organization needs to have process baselines and frameworks, definitely not excluding remote agencies like us. For that, it was important to have right tools and techniques. We would like to throw some light on how things were when we did not have this system in place. Granted, before installing KPI’s we were productive, but not strategically. Team members did not have role clarity or where they can reach beyond what they have been doing. They had trouble accessing what they were doing. We wanted to measure their success and to bridge these gap. It gave us direction to define programs in the company. Program management relies more on empirical data than outside observations or those emotional gut feeling. We would love to hear how your company measures performance. What challenge have you faced?